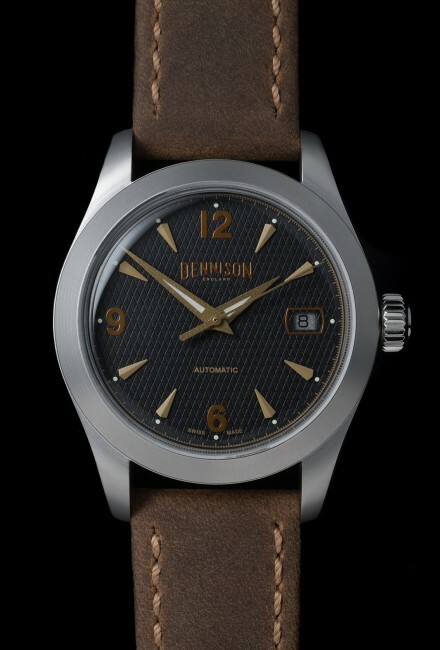 Dennison Revival watches are inspired by the Dennison Aquatite cased expeditionary watches from the 1950s. With heritage and style, they are designed as “field watches” with a purpose of exploring the world’s toughest and most remote terrains. 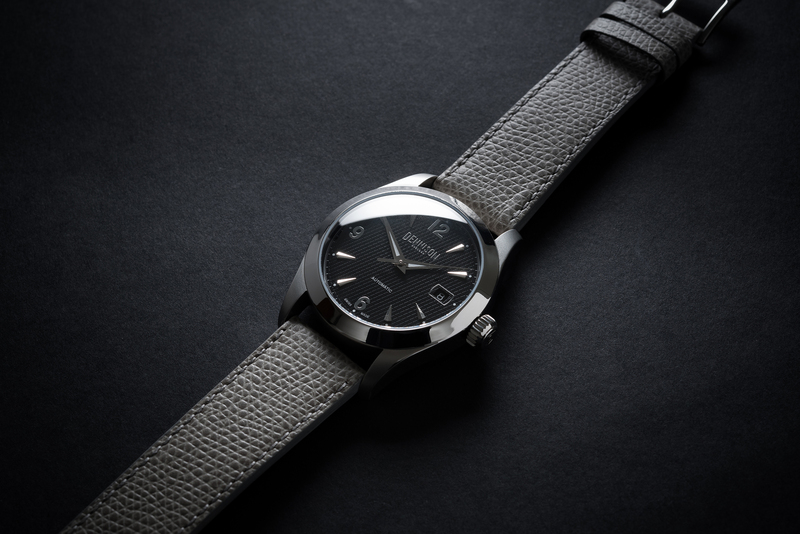 Remaining true the brand’s tradition, Dennison cases are made in England using some of the same machines from the original factory, housing robust Swiss-made movements, assembled and tested in England. Made in England. Stainless steel 316L. Screw back case and screw down Dennison Quality embossed crown. 38mm diameter excluding the crown and 20mm lug width. Discreet lug holes. Polished bezel & case sides. Slightly domed sapphire mineral glass. Sealed and tested, water-resistance over 10ATM. Mechanical Swiss-made robust ETA calibre 2824-2. Automatic. Hours, minutes, sweep seconds. Quick-set date change. Hacking seconds. 25 jewels. 38 hour power reserve. Swiss-made dials & hands. 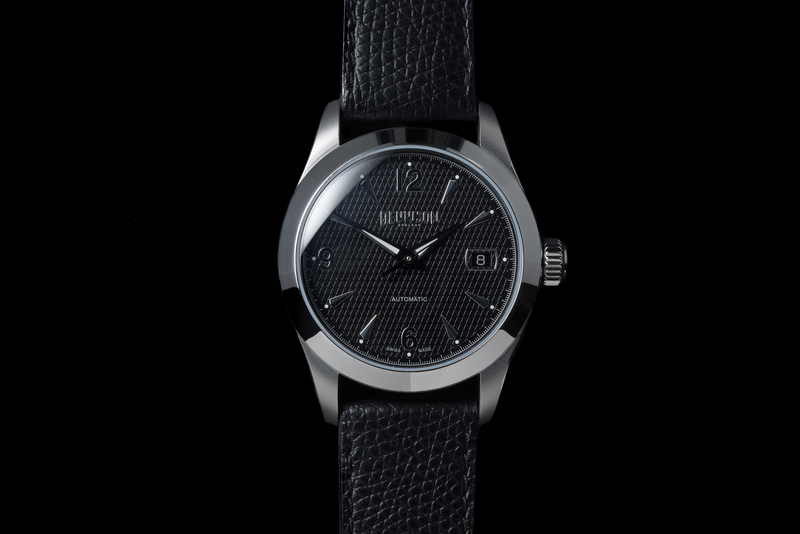 Gloss black “honeycomb” dial with polished steel “dagger” batons & quarterly Arabic numerals. Super-Luminova surrounding hour markers. Silver chapter ring. Date aperture with black display. Polished steel dauphine hands with Super-Luminova. Black or grey with rubber lining. Made in France. 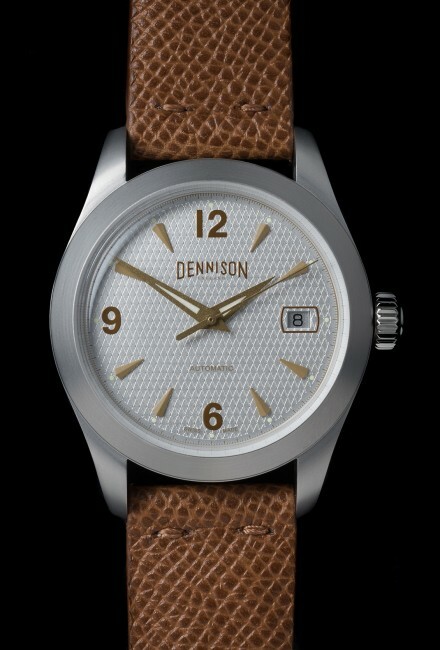 Dennison watches are accompanied by an “English Mustard” watch box containing a quality leather watch roll, hand-made in England. 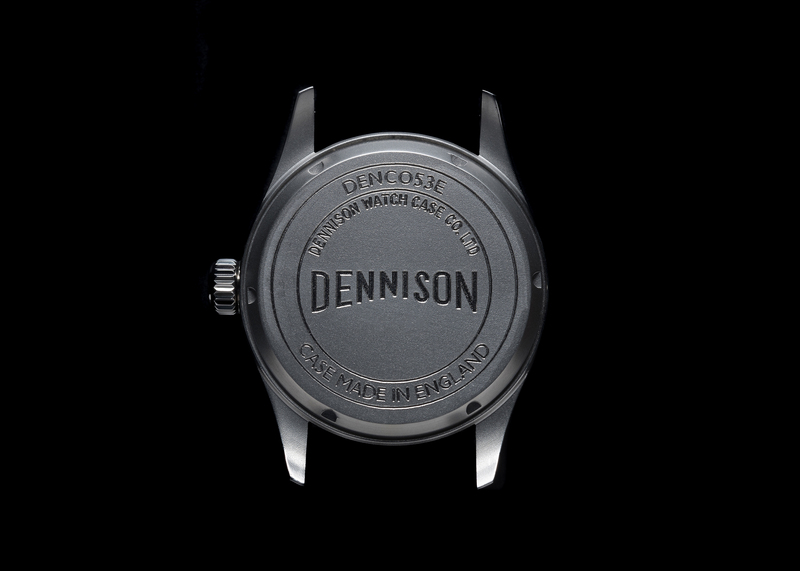 Dennison watches come with a Dennison Quality 2 Year International Warranty. 1. All parts outsourced are quality controlled on delivery. 2. Dial and hands are assembled to the movement and then tested for hand alignment, date change and regulation. They are then put on test for a minimum of 1 week. 3. The cases are machined, involving turning and wire erosion processes. 4. Once the cases are machined, they are then inspected for tolerance. 5. The case backs are numbered to match the case middle for correct alignment of the case back engraving. 6. 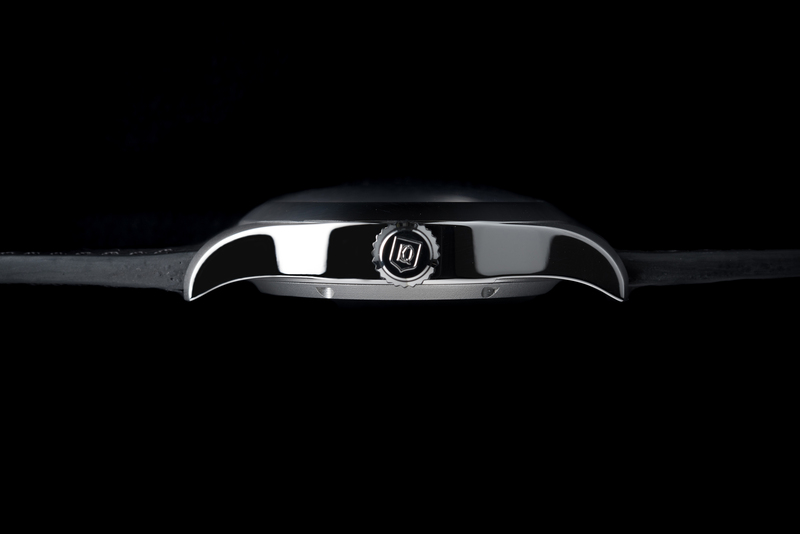 The case back engravings are then milled and individually dated by batch and numbered. 7. Polishing to the sides and bezel is carried out. These surfaces are then protected so that the bead blasting process to the lugs and back only touches the unpolished surfaces. The cases are then ultrasonically cleaned afterwards. 8. The crowns and threaded tubes are fitted. Once again these are individual to each watch so that the crown is orientated correctly for usage with the emblem in the correct position once screwed down. 9. The cases are inspected before the movement and sapphire mineral glasses are fitted. 10. Before the back is tightened a final regulation check is carried out. 11. The watch is then pressure checked. 12. Final inspection is carried out on arrival to our office and showroom in London.